Cathy McAleer will fight for the third time when she appears on the ‘Summer Brawl’ event being staged at the Europa Hotel on May 18. Duel world champion in kickboxing and karate McAleer is looking to claim a treble of world titles as she moves to her first six round contest in only her third contest. McAleer know that the numbers are small in her division and with the right fights at the right time everything will be possible as she chases that fight for the super-bantamweight World title. 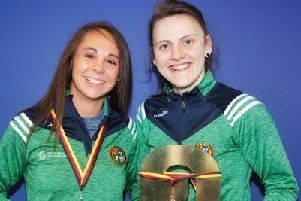 Having picked up valuable ring and round experience in her first two contests the undefeated Belfast boxer is looking to move her career along quickly. McAleer has impressed in her two fights to date and in her last contest at the Ulster Hall she looked to have improved under the guidance of trainer John Breen. At the Europa she will take on Cristina Busuioc of Bulgaria who recently took the Eddie Hearn and Matchroom’s Shannon Courtenay the distance in a very competitive encounter. McAleer is on a collision course with the Matchroom fighter herself and will be looking to do a better job that will hopefully raise a few eyebrows. 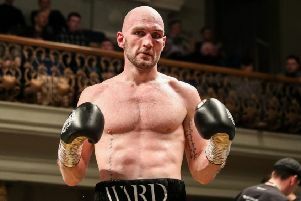 The card features former world title challenger James Tennyson who is now campaigning at Lightweight as he takes another step towards a title shot. Paul Hyland Jnr, Tommy McCarthy, Coalisland’s Feargal McCrory and Victor Rabei from Dublin.